Yoga, together with Thai Massage and Thai Boxing (Muay Thai), ranks among the top 3 training bodywork modalities in Thailand. In Thailand, the highest concentration of Yoga Schools and Classes (including Yoga Teacher Training) can be found in Bangkok, Chiang Mai, Phuket, Koh Samui, and Koh Phangan. In Chiang Mai, we’ve found more than 40 schools, teachers, retreats or training centers offering Yoga training classes. In this post we list the 21 best known Yoga centers in Chiang Mai. For all Yoga classes and trainers in Chiang Mai, you can visit our Thailand Training page and use the Filter Engine. Ananda Yoga Paradise offers daily Yoga classes and runs a Yoga Teacher training. Styles offered are Vinyasa, Hatha, Pranayama, Nidra, among other modalities. The Blue Garden downtown Chiang Mai offers Thai Massage, Chi Nei Tsang, and Yoga classes and courses. Yoga styles practiced are Hatha Yoga, Vinyasa Yoga, and Yin Yoga. 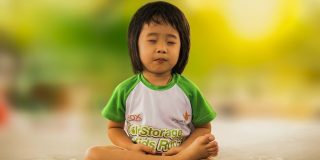 The Body and Mind Healing School offers Reiki, Tai Chi, Chi Kung, and Yoga classes and workshops. Yoga styles offered are Ashtanga Yoga, Hatha Yoga, Iyengar Yoga, and Vinyasa Yoga. The Four Seasons Resort in Chiang Mai offers a variety of daily public group and private Yoga classes in Hatha Yoga, Nidra Yoga, Pranayama Yoga, Prenatal Pregnancy Yoga, and Structural Alignment Yoga. Freedom Yoga is a small Yoga studio run by Adam and Ning. The studio offers group and private classes of Vinayasa Yoga, Yin Yoga, Restorative Yoga, and Hatha Yoga, among other Yoga styles. Hidden House Yoga offers daily Yoga classes, group & private classes, workshops and retreats. Styles offered: Hatha Yoga, Structural Alignment Yoga, Vinyasa Yoga (Flow Yoga), and Yin Yoga. 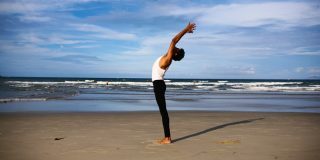 The Kaomai Lanna Hotel and Resort regularly offers Yoga retreats and Yoga Teacher training programs given by external Yoga teachers. Additionally, the place also offers their own Yoga classes, such as Ashtanga Yoga, Yoga for Kids, Hatha Yoga, and other styles. Mahasiddha Yoga & Tantra Studio is specialized in Tantric Yoga. Classes, workshops and retreats are given by certified teachers from the Atman International Federation of Yoga and Meditation. Mala Dhara is an Eco Resort offering Yoga classes and retreats, among many other activities. As for Yoga, monthly Yoga Retreats are offered from October to February. Namo offers a range of Yoga classes, and a variety of Thai Massage and other Thai Bodywork courses and workshops. Yoga styles available are Ashtanga, Hatha, Nidra, Pranayama Yoga, and Vinyasa Yoga. Om Ganesha Yoga Studio is run by Ying and Cee. The studio offers group classes and private Yoga training in Ashtanga Yoga, Hatha Yoga, Power Yoga, and Vinyasa Yoga. Return to the Source is a yoga school run by Gaelen Hanson & Neil Jefferson. The school offers retreats and a Yoga Teacher training program. Yoga styles: Hatha Yoga, Pranayama Yoga, Restorative Yoga, Structural Alignment Yoga, Vinyasa Yoga. Satva Yoga offers Iyengar Yoga, Integrative Yoga Therapy, Pilates Therapy, Soma Structural bodywork, Therapeutic Thai Massage, Neuromuscular Therapy, Shiatsu, and Cranial Sacral Therapy. The Yoga Room Chiang Mai is run by Ken Harakuma. Ken specializes in Ashtanga Vinyasa Yoga. The Yoga Tree in Chiang Mai provides a center for yoga, movement meditation and wellness, aiming to give a space for self-discovery, healing, wellness and self-transformation. Yoga styles offered are Hatha Yoga, Restorative Yoga, and Vinyasa Flow Yoga. Weena’s Yogasana is a Yoga studio that offers daily drop-in classes of Hatha Yoga, Power Yoga, and Vinyasa Flow. 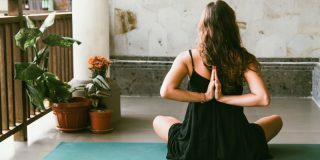 The renown Wild Rose Yoga Studio offers a broad range of various styles of Yoga and Yoga related classes, including a 200-hour Yoga Alliance approved Yoga Teacher training program. The Yoga Ananda school from Kru Nok teaches a mixture of styles, such as Hatha Yoga, Hatha Vinyasa, Ashtanga Vinyasa, Therapeutic Yoga, and more. Additionally, the school offers a Yoga Teacher training program for Hatha and Ashtanga Vinyasa flow. Yoga Cottage, a bit outside of Chiang mai, offers a variety of Yoga training styles, such as Vinyasa, Ashtanga, Sivananda, and Hatha Yoga. Yoga Kuukan offers Yoga, Qi Gong and Tai Chi training. Yoga styles available are Hatha Yoga, Restorative Yoga, Somatic Yoga, and Yoga Therapy. Yoga Mind Yoga Body is run by Gernot Huber. Gernot uses a range of Yoga style lineages in his teachings. He regularly offers drop-in classes at Wild Rose Yoga and the Yoga Tree in Chiang Mai.